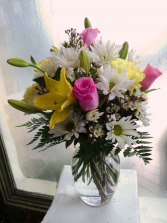 Make your love grow by letting that special someone know that you’re thinking of them. Mount Williams’ own “Always on my Mind” offers the perfect mix of color and texture that will keep you on their mind as well. 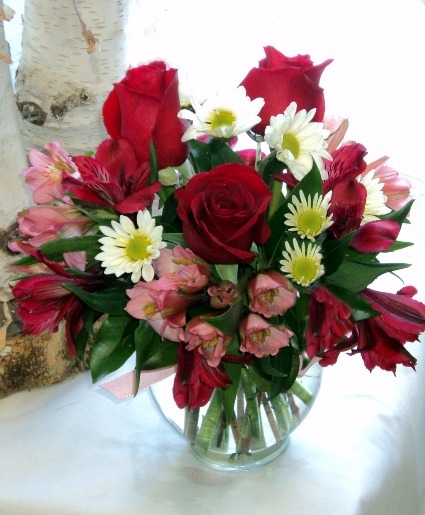 Red roses, daisies and alstroemeria in shades of pink and white, are beautifully arranged in a clear glass bubble vase. * Approx. 8”h x 8”w intended to be viewed from all sides. 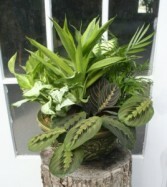 A medley of lush green houseplants in a classic ceramic bowl make up this gift, perfect for the home or office. Transplant the individual plants as they outgrow the container for a gift that brings a smile for years to come. 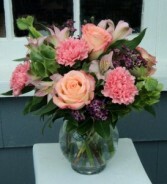 *Plant varieties will vary based on availability.